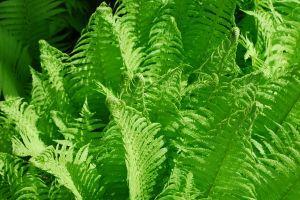 Athyrium, the lady fern - tips on caring for it. Athyrium is a cute deciduous fern, ideal to decorate a shaded corner of the garden. Outdoors, often in forest underbrush, it makes for very easy care and growing. Planting is either in fall or in spring but avoid frost spells and high temperatures. For this, use adequate potting soil mixed into your earth and pour a bed of clay pebbles along the bottom to increase drainage. If potted, repot in spring every 2 or 3 years with a pot that is slightly larger across each time. This plant prefers shade to sun, which would either be too dry or too hot for it. 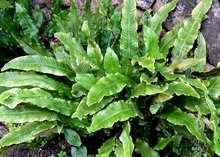 The propagation of athyrium is through crown division in spring. Cut dried or yellowed leaves as they die off, one at a time, but it’s ok if you don’t do this. Apart from this, athyrium requires practically no care or maintenance. In summer, you might mulch the base of the plant to keep the soil moist. In winter, the foliage will disappear, but fear not: it will start growing back in spring. Athyrium is very hardy and resists the coldest of winters. This lady fern has the rare trait of being very comfortable in dark forest settings at the foot of trees. Once it has started growing somewhere, it is very difficult to tear it out because its roots are tightly welded to its growing medium. Note that the darker the shade it is under, the slower its growth; but its leaves are then all the more beautiful. Both indoors in a pot and outdoors in the ground, avoid excessively sunny locations. 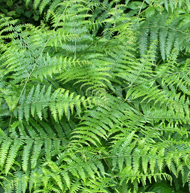 A fern is an amazing air purifying plant.